The closely divided Senate Banking and Financial Institutions committee voted 3-3 yesterday afternoon. Because of the tie, the bill failed to pass. Proponents of the measure argue on a micro scale for the individual homeowner who is deeply underwater, maybe trying to get a loan mod and/or is facing foreclosure. Opponents of the measure argue on a macro scale that the measure merely delays the inevitable cleansing of financially weak homeowners who can’t afford their homes, thus delaying an increasingly stubborn housing recovery. As usual, there is merit in both positions.But for now, it would appear the current process of dual-track will continue. State hearing today – make loan mods prior to foreclosure? Comments Off on State hearing today – make loan mods prior to foreclosure? Catching up on reading my day old Wall Street Journal this morning, an article on page 2 caught my eye. It said aspiring homeowners should have the upper hand this spring, but it doesn’t feel like a buyer’s market. Why? The WSJ quoted the CEO of Redfin saying that the mood of buyers was “nasty” because “customers just keep getting outbid on the houses that they want”. The article mentioned a woman who sold her home in Redondo Beach in a month, but got outbid on four homes at a lower price point in Eagle Rock. Some sold to buyers for all cash. Another buyer, who only has a 3 1/2% down payment with his FHA loan, is at a disadvantage against cash buyers and was quoted as saying “It’s a false buyer’s market. If you think prices are cheap, wait until you start putting offers in”. Attractive inventory is limited. A lot of it is mundane and pedestrian, requiring imagination and creative juices to meet today’s expectations for style, design and functionality. So when a sharp property comes on the market, multiple offers can come in, and the “highest and best” offer not only will be a higher offer, but will also be one with a big (or all) cash down payment. 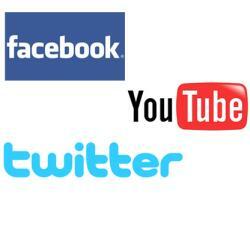 Most everyone who uses Facebook and Twitter do so for personal use. But – did you know social media is BIG in the business world? I recently attended an all day event with 200 other professionals on the USC campus called “Social Media Boot Camp”. We learned great tips and tools for applying social media in our businesses. This was sooo interesting!! We are always growing and learning with technology and where trends are heading. I’m very intrigued with integrating these tools into our real estate business. Loan mods – beware of the “dual track”! When a homeowner misses one payment, they are technically in default on that loan. Does the lender immediately start a foreclosure (as they are legally entitled to do)? Of course not – they try to work it out with the homeowner, have the homeowner pay some late fees and get a ding on their credit record. But what happens when several payments are missed? Now what? Comments Off on Loan mods – beware of the “dual track”! You are currently browsing the Don Nelson Team blog archives for April, 2011.